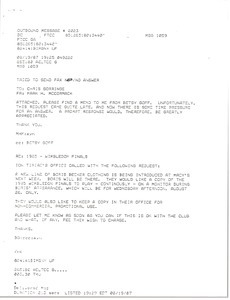 Detroit (Mich.) - Ford writes seeking advice on setting up a fund for a special event at Babson College. 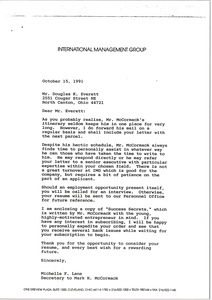 Forwarding all the Newsweek correspondence after March. 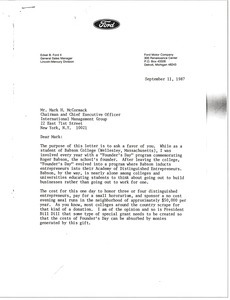 Oney writes regarding the Wimbledon and Wilson trademark dispute and sends a memorandum on the subject. 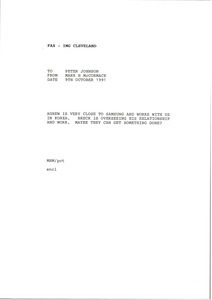 Lane responds to Everett's letter regarding employment. 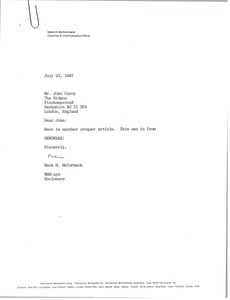 Concerning the attached article about croquet from Newsweek. 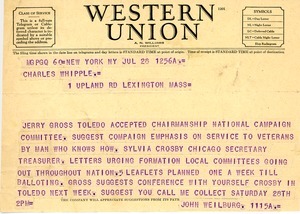 New York (N.Y.) - Jerry Gross of Toledo accepted the Chair of the National Campaign Committee. 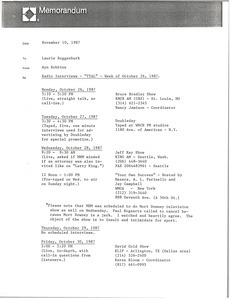 Concerning Mark McCormack's radio interviews scheduled for the week of October 26, 1987. 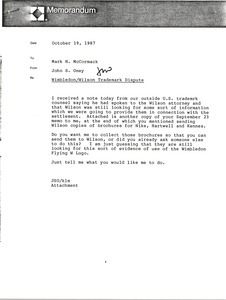 McCormack writes regarding Spiro Agnew working with Breck McCormack on Samsung. 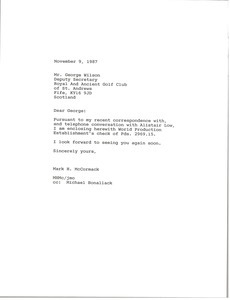 McCormack writes regarding a tape of the 1985 Wimbledon finals to play during a Boris Becker appearance at Macy's. 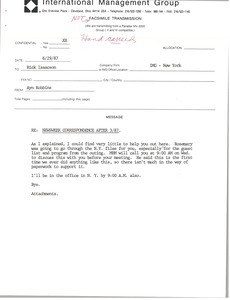 Concerning the enclosed check, related to recent correspondence with Alistair Low. Enclosure not with letter.